Have you ever heard about Kangen Water? Apart from being a lot tastier than tap water, it brings a number of important health benefits to the table. Understanding the exact nature of Kangen Water is one of the first essentials for exploring its benefits and figuring out if it’s the right option for you. Kangen Water is produced in a highly specific way. Apart from being filtered, it is also ionized through electrolysis. The product is made by a Japanese company called Enagic and proprietary ionized units are utilized to change water in this highly unique way. The machines have gotten a medical device rating, which is issued by the Japanese Ministry of Health. Thus, you can rest assured that you’re getting a high quality product that can be used in several ways – for drinking, cooking and even for integration in beauty routines. Our bodies are mostly made of water and therefore the constant intake of pure, clean water is essential to every bodily function and the foundation of good health. 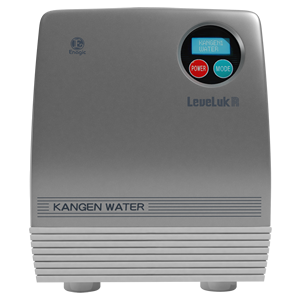 Because of the purification and ionization processes, Kangen Water produces a number of important health benefits. The machines have gotten a medical device rating, which is issued by the Japanese Ministry of Health. Thus, you can rest assured that you’re getting a high-quality product that can be used in several ways for drinking, cooking and even for integration in beauty routines. The molecules of Kangen Water are structured and smaller than the molecules of water that hasn’t undergone ionization. As a result, Kangen Water is absorbed by the body effortlessly and I contributed to better hydration. Many people still consume tap or bottled water without understanding the fact these can cause some problems. According to the American Environmental Working Group, US tap Water contains 315 different containments. Almost half of these aren’t regulated (maximum amount requirements), regardless of the fact that they can be harmful. Bottled water is not a better alternative and is just as harmful. Researchers have found that many bottled water varieties contain contaminations above permissible levels. In addition, bottled water can be very acidic. This acidity affects the body’s natural pH. There is also concern about the plastic contamination. Free radicals are formed in the human body when toxins interacts with certain kinds of molecules, they can quickly start a chain reaction and cause physiological damage on a cellular level. Kangen water delivers a large quantity of negatively-charged ion to the body. The ions can “stick” to free radicals and neutralize their activity. There are antioxidants in nature that can somewhat help neutralize free radicals. Various fruits and vegetables are a source of free radical fighting antioxidants. Kangen Water has enormous amounts of anti-oxidants and is readily available and capable of enhancing the body’s own defense mechanism. Kangen Water is great for helping the body get rid of acidic waste. Acidic waste is one of the primary causes of degenerative diseases. In addition to being alkaline, the water is also imperative for flushing out toxins. It helps the body’s detox organs like the kidneys and the skin. 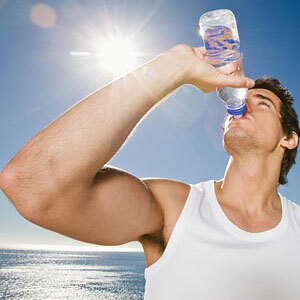 Sufficient water consumption is a prerequisite for keeping kidneys healthy and functional. The fact that Kangen Water neutralizes free radicals is yet another way in which it contributes to effective detoxification. Drinking Kangen Water over a long period of time will keep you healthy and give you a greater chance in avoiding chronic illness and disease. Especially important for children and teens in their formative years, giving them an excellent start in life. 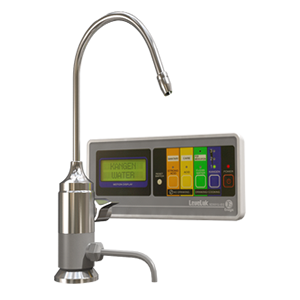 The Kangen® 8 is Enagic®’s most powerful antioxidant machine – featuring 8 platinum-dipped titanium plates for improved water ionization and increased antioxidant production potential. Enjoy this Kangen Water® machine in virtually any country, thanks to its worldwide multi-voltage power supply and interchangeable plug capability (sold separately). If you’re looking for a powerful, versatile, feature-loaded machine, the Kangen® 8 is for you. The basis of vitality and long life is water. Kangen Water is produced in a highly specific way. Apart from being filtered, it is also ionized through electrolysis. 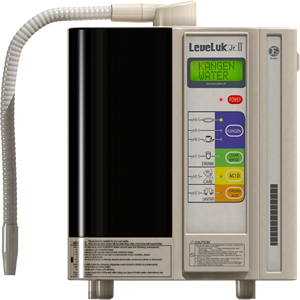 What is Kangen Water Ionizer?